6. How can I cut spending and save more? With salaries stagnating, the pressure to create and stick to a real budget is on. Dozens of sites have cropped up lately to help you do just that. 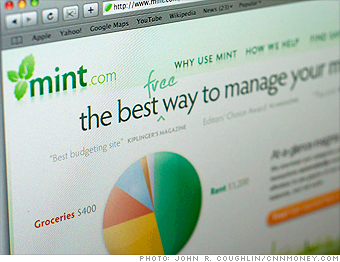 But Mint.com (recently purchased by tax-prep giant Intuit) is by far the easiest to use and most feature-packed. Sync your bank, credit card, and investment accounts with the site -- it takes only a couple of minutes -- and start following the money. Mint tracks every noncash expenditure ("I dropped how much at Whole Foods?") and summarizes your spending in categories, such as food or utilities. Coolest feature: With one click, turn your average spending into a monthly budget -- and then adjust amounts in each category until you find a balance you can live with. Try this too: If you want to budget plus pay bills through just one site, Yodlee.com's MoneyCenter may be better for you. NEXT: 7. How good is my credit?